We’re in flight right now to Denver — via zeppelin, of course — and we’re excited about our plans at the Craft Brewers Conference and BrewExpo America this week. We’ll be examining new brewhouse tech, rubbing hops, sitting down with marketers, raising our hands in seminars, making new friends, confronting old enemies and grabbing lots of beers in between. 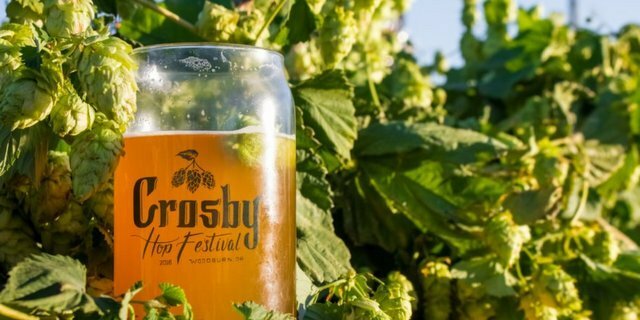 But maybe the biggest mark we must check will be a visit to the Crosby Hop Farm lounge. These beers encapsulate the creative ideas, ingredients and brewing styles from some of the best breweries on the planet. Join us in our 2019 seminar-level beer lounge (1B) to sample world-class collaboration beers, experience hop harvest in 360 degrees and touch and smell the finest hops on the planet. See it all in the video above. Then go drink some of those beers. I hope you aren’t in a zeppelin as you will blow away and never make it here with the storm rolling in today!